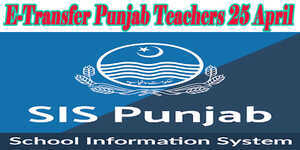 A new Android Mobile App has been introduced for Punjab school teachers at the start of New Year 2019. It is decided to launch the Punjab School Classroom of the future with a New Android Mobile App to check the performance of teachers in Punjab schools. Assistant education officers AEOs are working as per this new Android mobile app. The detail of this app is given below. There are 9 indicators to observe through AEO Android Mobile App. Teacher Diary: There should be nine lesson plan at least in the teacher diary in a week. Home Work for Students: Homework should be given to the students of the class. A least three times a week homework should be given for maximum marks to a teacher. Student Learning Outcomes: Student Learning Outcomes (SLOs) should be prepared for the lesson. These SLOs should be as per educational calendar. These should be compared with the previous lesson for maximum marks. Activity Based Learning: It is necessary for student’s effective learning that there are at least two activities during lesson teaching. Use of Visual Aids: At least one thing except board should be used in the class by a teacher. Assessment of Students: There should be verbal and written assessment of students. For written assessment, the teacher should check mistakes and remove them. Lesson Plan. The teaching of a teacher in a class should be as per prepared lesson plan. Contact with Students: Teacher should have eye contact with the students in a class for effective learning. Class Room Management: A last, Teacher should maintain classroom in an effective manner. He should manage good seating of students in a class and if a student disturbs him during lecture then how he responds and start his lesson again.